NEW YORK TIMES BESTSELLER *; The wise, moving novel from Danielle Steel, whose many bestselling tales have made her one of America's favorite authorsTaking chances is part of life, but when you bet your future against the odds, it's a high-risk game.Kate Madison's stylish resale shop has been a big SoHo success, supporting her and her four kids since her husband's untimely death. Now her children … are grown and ready to forge lives of their own. And they all choose to play against the odds, to their mother's dismay. 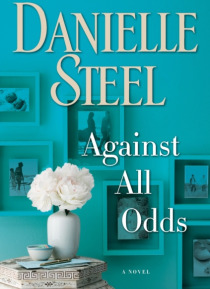 Isabelle, a dedicated attorney, is in line to make partner at her Wall Street firm when she falls for a client she represents in a criminal case. She tells herself she can make a life with himbut can she?Julie, a young designer, meets a man who seems too good to be true and falls under his spell.She marries him quickly, gives up her job, and moves to Los Angeles to be at his sidebut is all what it seems?Justin is a struggling writer who pushes for children with his partner before they're financially or emotionally ready.Will the strain on the relationship take too high a toll?And Willie, the youngest, a tech expert, makes a choice that shocks them all, with a woman twelve years older. Kateloving, supportive, and outspokencan't keep her children from playing against the odds.Can the odds be beaten? Not oftenas her children have to learn for themselves. For Kate, the hardest lesson will be that she can't protect the children she loves from the choices they makebut can only love them as they make them.